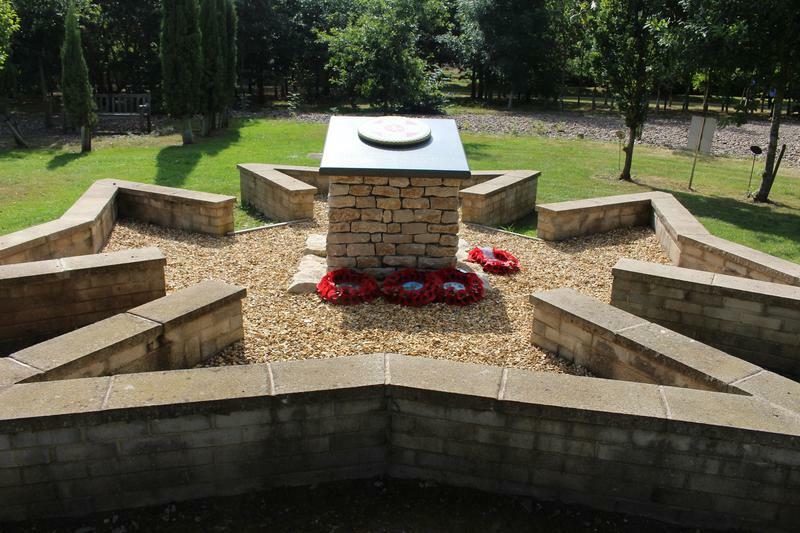 Attended by: GCIA National Chairman, Reverend Fiona Solman, Mr George Martin, Mr Robert Dobbie, members of the GCIA, representatives of the armed forces. Four sections of low-level stone walls which together form the design of a Maltese Cross providing a border to a gravel bed. 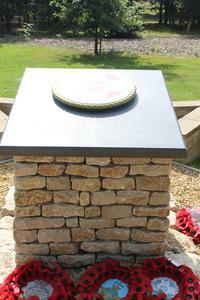 At the centre of the gravel bed is a plinth made of roughcast stones set on stone slabs. A black polished granite slate tablet with sloping face and an inscribed commemoration is fixed to the top of the plinth. Affixed to the tablet is a further circular tablet in the design of the emblem of the George Cross Island Association. The memorial is placed within a garden of lawn and trees. 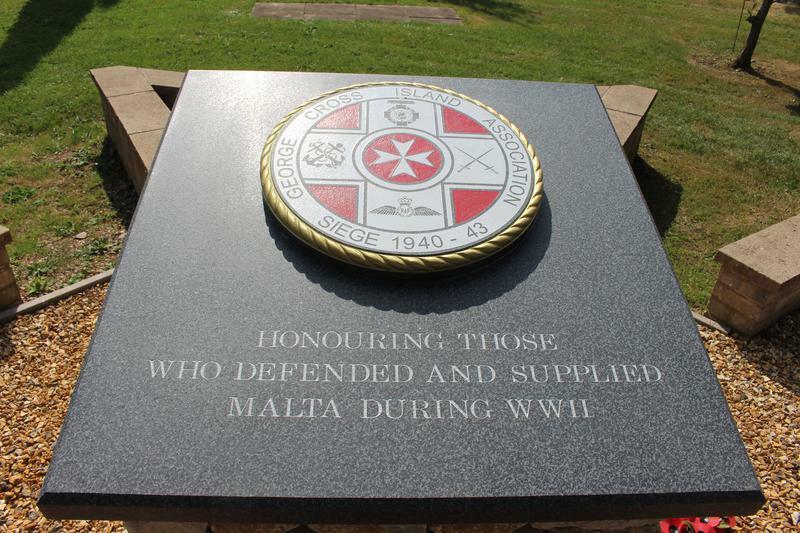 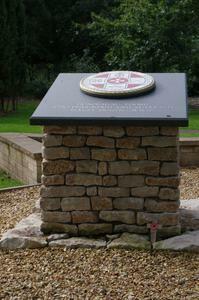 There is a further metal plaque on a stake which provides information on the memorial and also carries the flag of Malta, a map of Malta and the George Cross Island Association emblem. 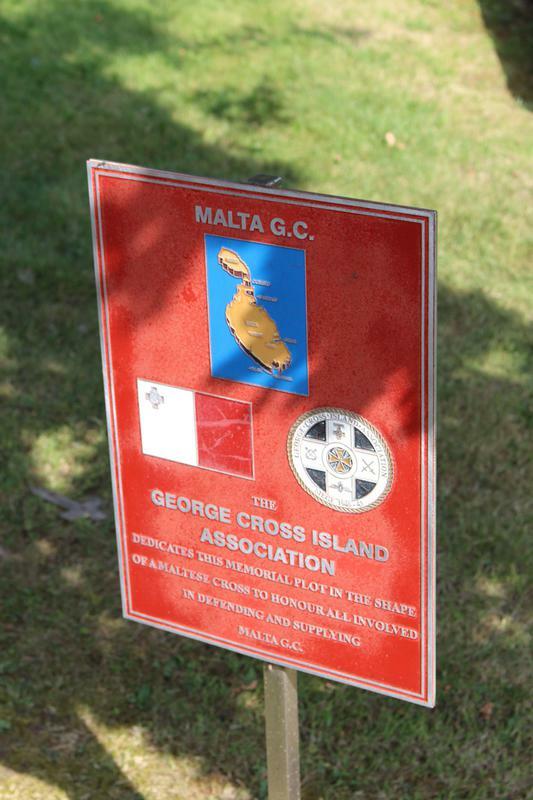 [Tablet]:HONOURING THOSE/ WHO DEFENDED AND SUPPLIED/ MALTA DURING WORLD WAR II [GC Island Emblem]: GEORGE CROSS ISLAND ASSOCIATION/ SIEGE 1940-1943 [Plaque]: MALTA .G.C/ [Map, flag, G.C. emblem]/ THE/ GEORGE CROSS ISLAND/ ASSOCIATION/ DEDICATES THIS MEMORIAL PLOT IN THE SHAPE/ OF A MALTESE CROSS TO HONOUR ALL INVOLVED/ IN DEFENDING AND SUPPLYING/ MALTA G.C.